I recently attended the Detroit: Become Human launch event in Manila and we were treated to a day of food, talks about the game and most importantly a hands-on demo of the game itself. I wasn’t really expecting the demo to be that long. It is, of course, my first time attending such an event so I didn’t really know what to expect when it came to the game demo. But I can say it was a fairly decent demo and boy was the game great. The demo lasted around three hours. There was a fairly decent amount of story that got covered. I didn’t think that we were getting to play the full game but I was surprised that it was actually the full game albeit the fact that it stopped at a certain point that ended the demo. The game was nicely paced. Each scenario lets you control one of three characters namely: Marcus, Kara, and Connor. Each character is very distinct and has their own background story which you get to explore in the scenarios. We first get introduced to Connor. An android that has been tasked to pacify or retrieve damaged androids or androids that have somehow broken their own protocol. 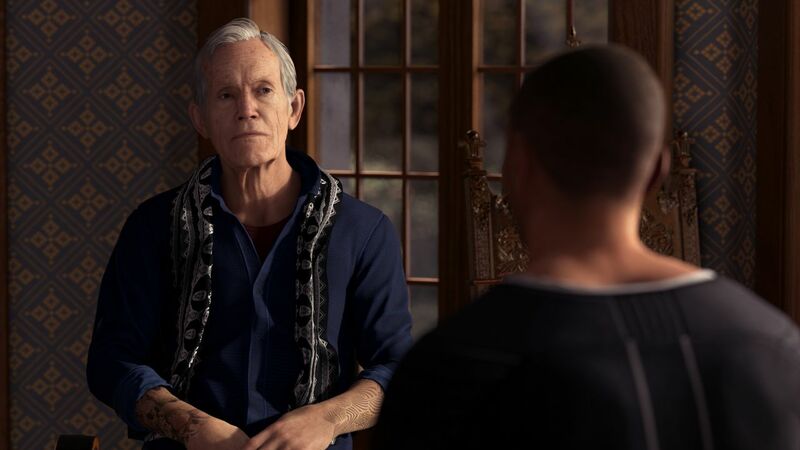 You can mold Connor into either a calculated investigator who will do whatever it takes to fulfill their mission or a pacifist who will make sure the android is fairly treated. 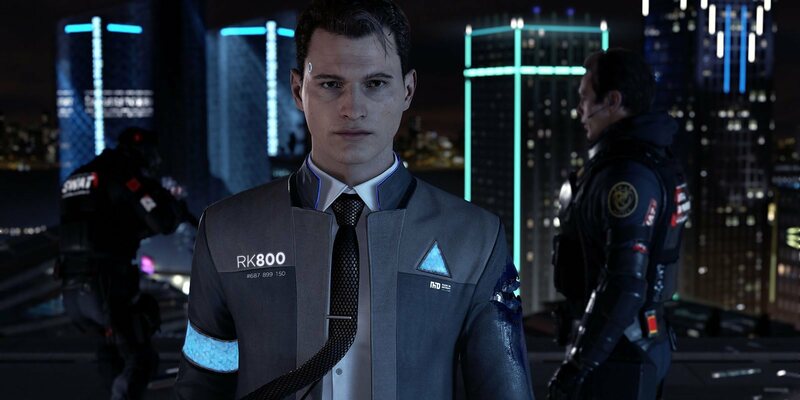 But sometimes in a world where androids are treated like they are just objects, it’s hard for someone like Connor to be as objective as possible. What’s unique about Connor’s scenarios is that there are parts of the game where he goes into detective mode. The detective mode reminds me a lot of the investigative mode in Arkham Origins and Arkham Knight. Just like in those games, you investigate crime scenes and try to piece together what happened and replay a scenario of what went on as Connor finds new clues to the crime. Each crime scene I went to played out differently. Sometimes time is a factor and sometimes you just need to get all the evidence to find the culprit. I like how not all crime scenes are the same. It makes each scenario unique and it makes you not get comfortable with how the game plays out. I love how each time you’d have to figure out the best possible path for you to take without it being a repetitive chore. The next android we get introduced to is Kara. The first time we meet Kara, she gets bought from an android store. Kara’s scenarios are mostly about household chores and trying to please her owners. In Kara’s scenarios, you have to really pay attention to any actionable items surrounding you. Although I think this is the case in all the other scenarios as well. It seems that it is important to actually take some time to explore the game around you and discover items which may or may not be useful in the coming events. Although the scenarios aren’t connected one after the other, there will be items that you may have discovered in previous scenarios that can be used or unlocked in future scenarios. Sometimes you might not even think about those items at all even though you’ve unlocked them. Not all discoverable items are meant to be used and I’ve learned that when I played the game. The final android that we get introduced to is Marcus. Marcus is an android that is loved by his owner like a real son. He also loves and respects his owner. But Marcus like all androids are being discriminated against by the neighborhood and even by his owner’s son. The people think that androids have been replacing people in their work, resulting a lot of jobless people. This is where their resentment towards androids originate and seems to be a recurring theme throughout the game. But Marcus respects his owner too much to retaliate against any discrimination even at a grave cost. The scenarios I have experienced were all awesome. It truly feels like every decision you make impacts how the events play out. The game lets you get invested in these characters and even in the other characters as well. I got emotional at one part of the game where I thought my decisions would prove to be the best outcome but unfortunately, things didn’t work out like I thought they would even when I believed I had the best path possible. This game really gets you immersed and I can testify that if you really focused on the game, you will definitely get drawn. There were times though where I felt like I had no choice. Although the options provided to you always had that one option with the fewer consequences, sometimes it tricks you to believe that there are better options out there and sometimes it will test your morality. Funny how the game does that to you. I’ve always wanted to keep my morality and integrity when playing decision-making games. But I’m sure others will disagree and just play the game as immoral as they want. I’d like to think that even though this is just a game, I’d like to make my decisions based on if these were real scenarios. Because who knows maybe one day you’d have to make a tough decision and then maybe just maybe this game will have taught you that sometimes the best way is to choose the good route. I can’t wait until this game launches on May 25th because I would love to know what happens to all three of them and how the game plays out in the end.